Not content with running the roost at London’s uber-successful Russell Norman and Richard Beatty restaurant Polpetto in Soho, Florence Knight is now destined to become a household name after taking up her position as the Sunday Times magazine’s cook which will propel her into kitchens around the country. 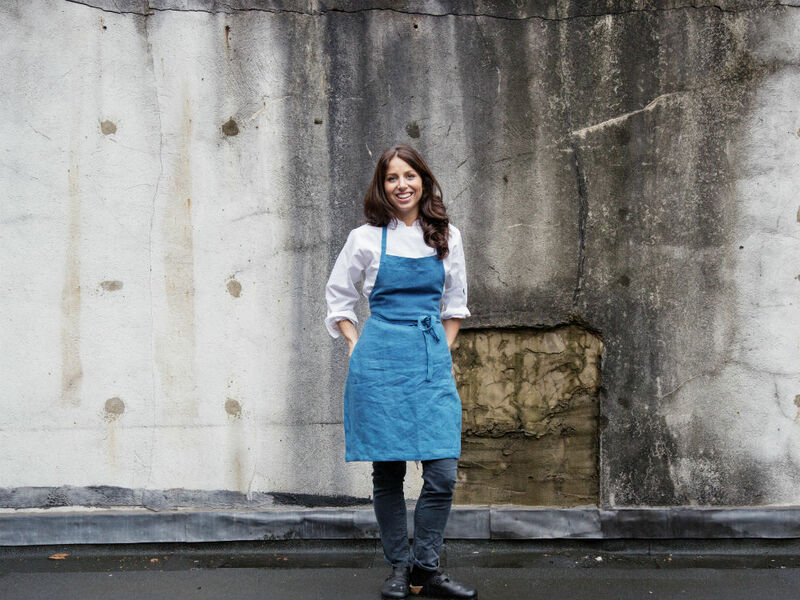 We chat to cooking’s new golden girl about her favourite British Summer Fruits, the best London hangouts and how to get the best out of your BBQ. What is your favourite thing about Britain in the Summer? English fruits, ripe strawberries, firm and tart raspberries and the quintessential gooseberry. Where’s your favourite place to go for a staycation? Escaping Soho to my hometown of Hambledon in Surrey keeps me sane. The garden at this time of year is full of fragrant Duke roses hanging from the walls, honey suckle, sweet peas and rosemary. Tending to our vegetable patch helps me relax! When you’re back in the city, where is the best place to hang out on a sunny day? A good friend introduced me to Frank’s rooftop in Peckham, which has a lovely casual atmosphere and some of the best views of London. My favourite secret spot though is the Phoenix garden in Soho which is hidden away behind the roar of Charing Cross Road. What makes the ideal BBQ? I like to experiment burning different woods or herbs for added flavour when cooking over the fire. Roasting Spring lamb over Douglas Fir served pink with peas and lettuce is one of summer’s sim ple pleasures. Either I’m totally in control of the food prep or I stay out of it when it comes to BBQs; I’m not the kind of person that can just help a little without taking over. Being cooked for is a real treat for me. If I cook at home I tend to go into work mode and can’t relax without cleaning frantically and forgetting to eat all together! I love Paris and go as often as I can. I feel more at home there than practically anywhere else. What’s the best summer holiday that you’ve ever been on? On a little boat with my husband in Paxos exploring the inlets around the island! Favourite cocktail or drink on a night out? I like the occasional glass of natural red wine but I’m not a big drinker. A bottle of Square Root’s cucumber soda or a kitchen-lead drink – a drink which has been inspired by an ingredient used in the kitchen – like the ones from Will Lander’s Portland or Skye Gyngell’s Spring prove that non-alcoholic drinks don’t have to be boring or far too sweet. Do you like to go to any festivals during the summer? Summer’s always a very busy time in the kitchen as so many staff take their holidays and visit home. I’ve heard great things about Port Elliot and I’m aiming to go to Madness in Copenhagen sometime. Do have you have summer traditions that you must do every year? Ingredients mark the seasons for me; from the first bundle of asparagus in the spring to strawberries in the height of summer. Picking elderflower and nettles is a must every year for me. Are there any London markets that you like to buy fresh produce from? You get very spoilt being a chef in a restaurant as the best ingredients ome to you. But if I’m out of the kitchen, I tend to zigzag around town from Steve Hatts for fish, Spa Terminus for the Ham and Cheese Co and English Preserved to Neals Yard in Monmouth Street. Where is the best spa for a bit of relaxation? I love Susanna Kaufmann’s products and keep meaning to book in at Liberty’s for one of her treatments when she takes up a residency. Otherwise, a very humbling experience of traditional reflexology helps to give me energy and improve my sleeping pattern at Step In off Rupert Street, Soho. It’s not fills but they have excellent technique.